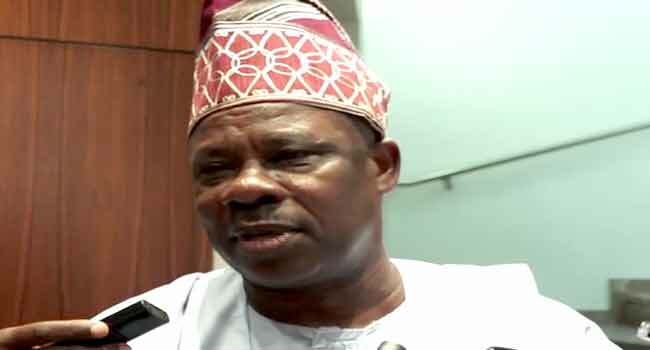 The Ogun State Governor, Ibikunle Amosun, has distanced himself from the travail of the National Chairman of the All Progressives Congress (APC), Adams Oshiomhole with the Department of State Services (DSS). Addressing journalists on Thursday after meeting with President Muhammadu Buhari in Abuja, the governor said he had nothing to with the alleged problems which the National Chairman of the party is facing with the secret service. While reacting to media reports that he and his Imo State counterpart, Rochas Okorocha were behind Oshiomhole’s investigation, Amosun said the question should not be directed to him. He said, “I think you are probably giving me an oversight role and I am not a security person, so clearly I think that question will not be for me. The governor, however, did not state any reason for his frequent visit to the Presidential Villa. He pledged never to say anything regarding the crisis in the ruling party over the recently conducted primary elections.